I used to make a lot of jewelry. Lately, I haven't been as doing it as often with the exception of little bracelets and the occasionally knick knack on a chain. But something that I touched on back in January were boot chains! The thing I love most about making boot chains is the ability to mix and match (and recycle) pieces of other broken jewelry. For this particular piece, I used an ID bracelet (someone in the marketing department at UO deemed this as the "ugliest piece of jewelry" they had ever seen and gave it to me. For one, I don't think it's ugly and two, thanks for the free bracelet). These are pretty popular right now, so they're available at Forever 21 and the like for pretty cheap. I also used some gold chain from a broken UO necklace, a feather charm from a broken UO earring (this post really isn't saying many good things about the durability of UO jewelry...), some various jewelry making supplies, and a pair of pliers. 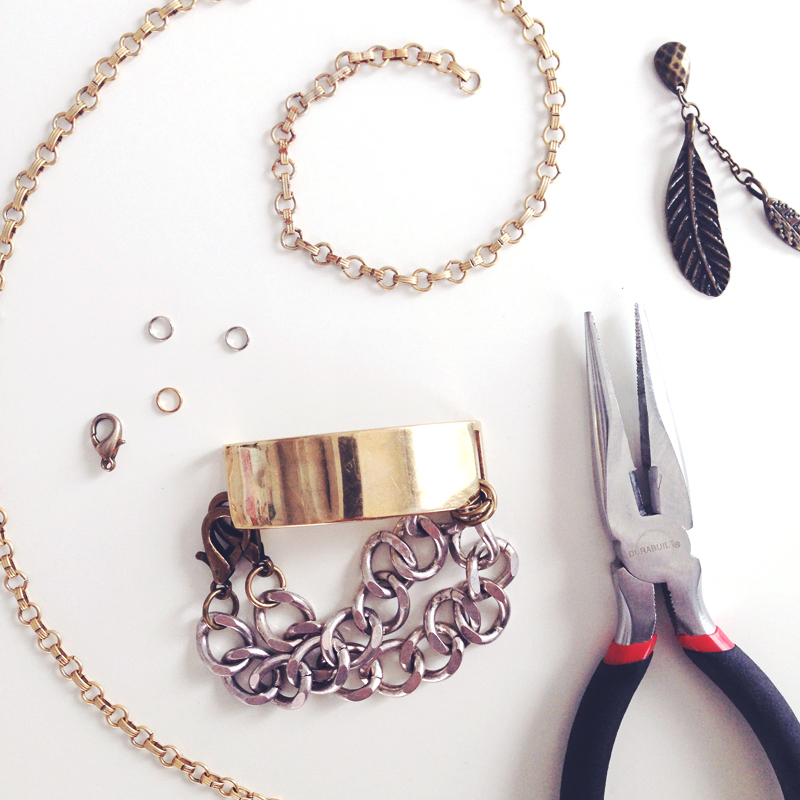 First I deconstructed half of the ID bracelet. 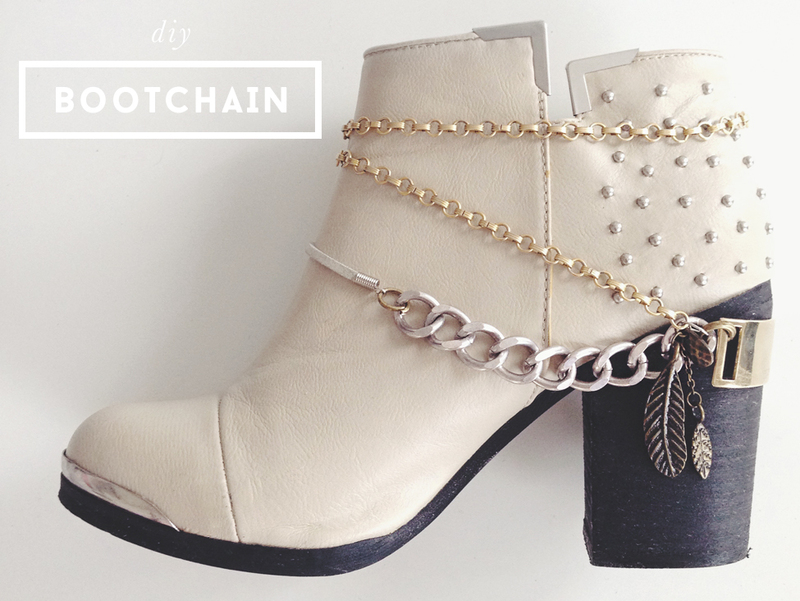 I wanted this to be the main part of the boot chain and for it to have a bit of slouch. I inserted a bit of leather cord to elongate the wrap (note that if you're using leather in this manner, it's really important that it's not in a place of tension, for it could stretch or break). I left the lobster clip on one end for the anticipation of switching it onto different boots in the future. I find that it's easier to work on a boot for something like this, because otherwise it's hard to judge how the chain will drape. I wanted this to sit loosely, but not so much so that it could potentially kick under the heal and be stepped on. The added leather piece gave this chain a lot of length, so in order to hold the chain up higher, I used the bit of broken necklace. This gets double wrapped at the top of the boot, which fits snug and holds the entire boot chain up, keeping it away from the heal. 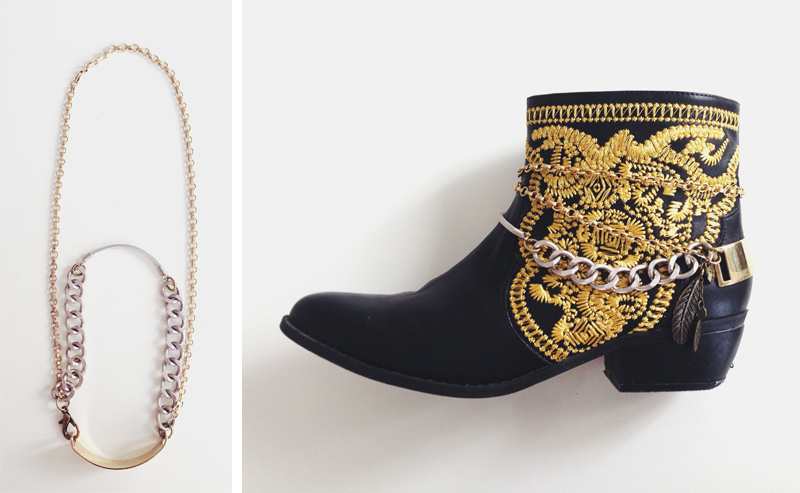 For a final touch, I added the feather charm to the outside of the boot. I really like this one for it's mix of materials and how easy it is to switch from boot to boot. This was made to fit the left foot and makes its rotation fairly often in my wardrobe. 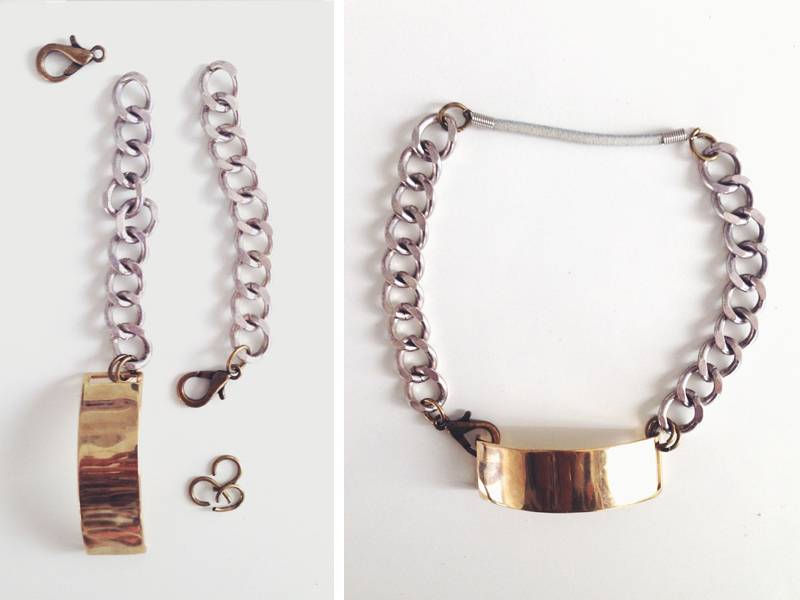 Be sure to compare the 30DFC // Jewelry I Made post from 2011!